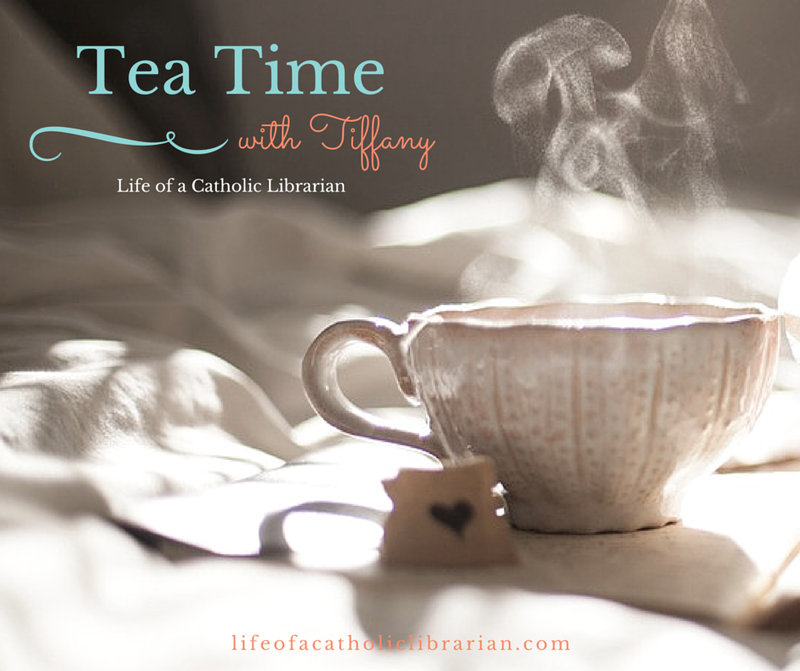 Life of a Catholic Librarian: Tea Time with Tiffany #31 - Could it be? Actual podcast stuff?! Tea Time with Tiffany #31 - Could it be? Actual podcast stuff?! Something new this week, and I discuss it in the video, but you may notice that there is a link to download the audio file this time. Ooohhh, Tiffany, you're trying something new, ooo la la! Yes, yes, very exciting, right?! Indeed, I may move to libsyn or Sound Cloud to host the files soon, as that would be a lot better for both you and me. But that costs money, so I'm working up to that. ;-) I'll keep you posted! St. Francis de Sales feast day is January 29th, and his novena will begin January 20th. My home over at the Internet Archive as the Catholic Librarian. Don't forget I have all of those chaplets to pray along with too! I am excited about the new audio option. I saw the Feedburner link on the right and used it to subscribe. I like the video posts but I think the audio will be easier for me to listen to. Hi Melanie! Ah, you discovered my secret lurking on the sidebar. ;-) Good! I have to test things more this week, but I was hoping that was working, yay! I like the audio option, too :) And I think the audio in your sound-only version is sounding really good!